Just south of Phoenix, AZ sits South Mountain. 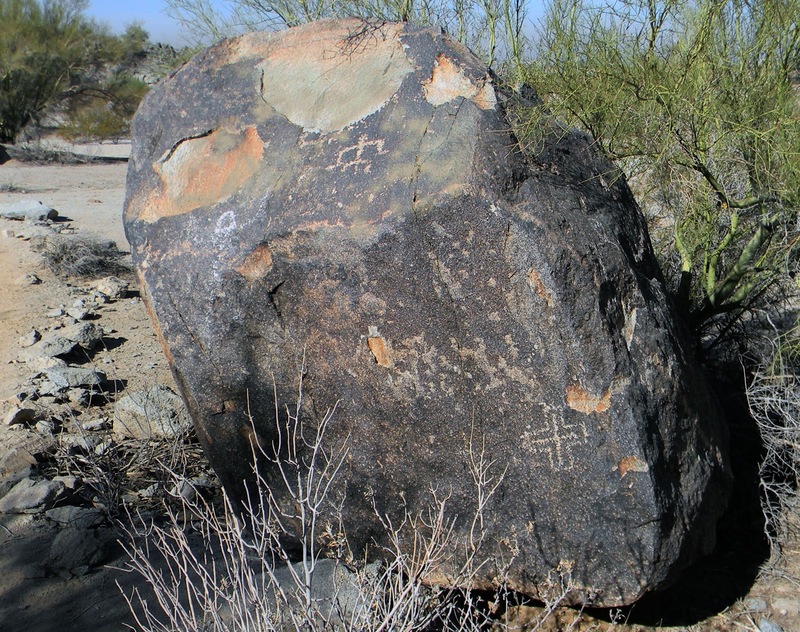 This park is about 1600 acres and has several different trails where petroglyphs can be found. 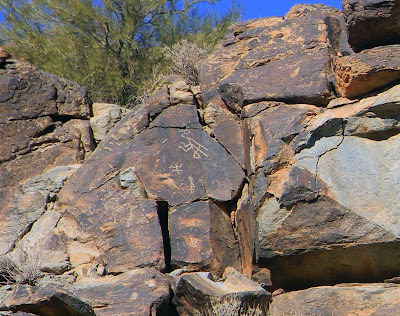 These etchings were carved by the ancient Hohokam people who used to live on this land many centuries ago. The Pima Indians believe that each drawing has some type of mystical importance. Sharon and I took the Holbert Trail which is rougher and more challenging than other trails. We just can't do anything easy, can we? It actually wasn't as bad as we thought and was worth the hike. 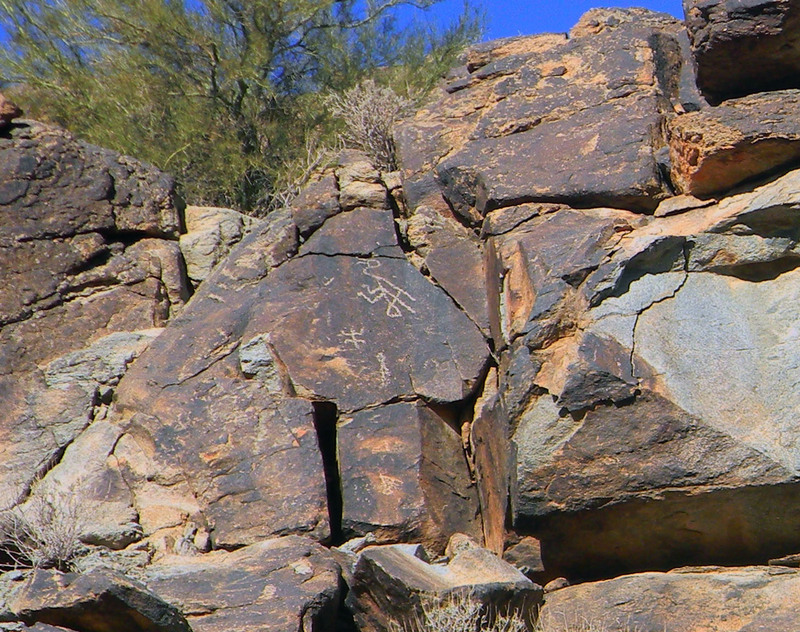 We saw lots of interesting petroglyphs on the boulders at the top of the mountains. The scenery was breathtaking and the weather was perfect. All and all, we had a nice trek on South Mountain.